Stress affects everyone, but seafarers have to cope with stress that is a direct result of the unique environment that the life of a seafarer entails. For those who have never worked onboard a merchant ship, it may be difficult to comprehend the stress that affects the daily life of a seafarer. The National Institute of Health ‘NIH’ helps us understand stress: “Everyone feels stressed from time to time. Some people may cope with stress more effectively or recover from stressful events more quickly than others. There are different types of stress—all of which carry physical and mental health risks. A stressor may be a one time or short-term occurrence, or it can be an occurrence that keeps happening over a long period of time.” As the NIH states, the types of stress carry risks to mental wellbeing, a consideration very important in my work as a port chaplain. Stress needs to be considered holistically. The human body does not differentiate mental health, it is a component of the mind body and spirit of every seafarer. To understand the wellbeing of a seafarer we cannot consider mental health in isolation. Throughout my eight years at sea, the majority of my experiences were positive, but I did serve with people who were stressed by the environment and clearly suffered various states of anxiety and depression. I am aware of two suicides both involving senior officers who disappeared at sea under circumstances which were attributed to them taking their lives. Suicide is the extreme case, but the life of a seafarer is affected by all of the factors which affect everyone plus the uniqueness of their life at sea. We need to be aware and mindful of the stress and be ready to help. One of the jobs that I feared most during my time at sea was entering enclosed spaces especially cofferdams, double bottoms and the mud box below the chain lockers. Even as I write this now, I can feel my body tensing into “fight or flight” mode and my level of anxiety is rising as my mind remembers the day we were given the job of cleaning out the mud box below the chain lockers. Access was through an oval manhole that required you to wriggle through into the cramped and muddy two-foot high space directly below the pile of anchor chain directly above. My blood pressure is rising as I write this and even though it has been more than 48 years since I did that work—it feels as if it was yesterday. My anxiety about being trapped in a confined space is my personal traumatic stress, and for others, there may be situations which create anxiety or depression. As a cadet, I experienced numerous times when I had close calls involving enclosed or confined spaces. Perhaps my fear saved me from danger. However, my purpose is to illustrate how the working environment for a seafarer can include tasks that involve risk and with that the potential for anxiety and stress. There is one constant that remains a focal point for seafarers, and that is the stress that results from the impact of heavy weather. In port, ships are upright and static as they lay peacefully alongside the berth. However, at sea during a Force 12 storm in swells that may tower more than 15 meters or more in height the ship will be moving, vibrating, shuddering and shaking as it combats the immense energy of the ocean. These conditions may last for days and weeks during major transatlantic crossings – it is not unusual for large and modern ships to lose days in their expected arrival time because their transit speed drops to a bare minimum just enough to maintain steerage. In 1973, while serving as the second officer on the London Statesman, we were loading a cargo of sugar in the Port of Durban. At the adjacent berth, I observed first-hand the bow of the damaged British cargo-liner Bencruachan. 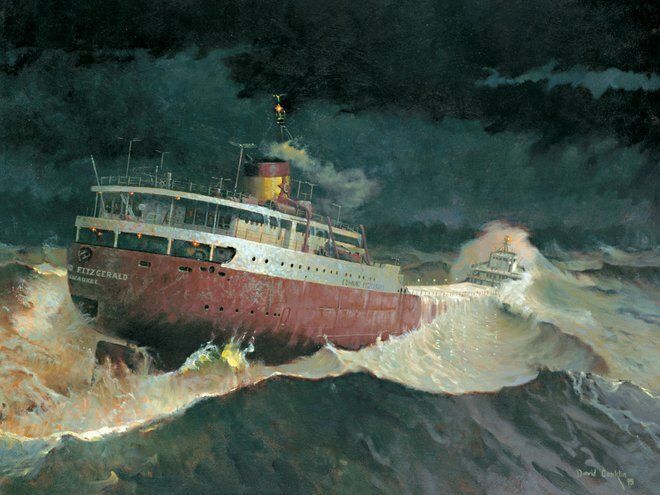 Just before arriving in Durban the Bencruachan had encountered a freak wave during the night. This had caused the entire forward section of her bow to drop by a massive twenty feet. The steel plates of her hull had been pleated like a Scottish kilt by the force of the Indian ocean. They were lucky to have not gone down, the sight of steel folded into pleats by the power of the sea made me realize how powerful the ocean can be. When we left Durban headed to Canada, I was mindful of what I had seen and remembered the story that we had been told about the dangerous waters off the South African coast and the reports of freak waves or deep troughs in the Indian ocean swells. As we sailed along the South-African coast on my afternoon watch, we were beam on to the long deep swells, and we were rolling heavily 25 to 30 degrees. When you are on the bridge that’s a 50 to 60-degree arc, nothing stays put unless secured. You need to make sure that you are braced with something to hold on to; otherwise, you will be thrown to the deck. I had been warned at Plymouth navigation college of a phenomenon known as synchronous rolling. That afternoon, my mind began to observe the clinometer as we rolled and as I watched the brass needle swing, I realized that each period of roll was a degree or two greater than the previous one. There was no time to call for a second opinion, I was the officer on duty and what I was observing was here and now. By the time that the fifth roll had reached 35 degrees, the voice inside my head told me that this really was a case of synchronous rolling and if I did not break the cycle, we might succumb to a deep swell and not recover. They believe this is what happened to the Waratah in 1909. I decided to act and made my way to the auto-pilot and switched to manual steering, as we came out of the next roll, I altered course to break the rhythm of that dangerous roll cycle. I held my breath as the next roll came and felt a huge relief when the rolling eased. I kept a different course for the next few hours until it was safe to resume our course. I will never know how close we came to disaster, what I realized then and ever since is that our lives can be altered very quickly if we are not alert to what is going on around us. In 1909 in those same waters, the Waratah was lost with all hands, 211 passengers and crew, the wreck was discovered in 1999. As a chaplain, I do my best to assess the level of stress, are the seafarers tired? What type of mood are they in? Is there are a positive or negative expression? On a recent visit, I met a third engineer who clearly needed to get ashore, he was tense and worried. He asked if I could take him to a shop where he could send money home. Recognizing that this man was apparently under stress, I told him that he could come with me and that I would bring him back. This news brought the first sign of positive expression, and as we left the vessel and proceeded ashore, I wondered why he needed to wire money home. Typically, seafarer’s wages are paid by direct deposit into their bank accounts, and this means that their families have funds available to pay their mortgages and meet their ordinary expenses. Seafarers will take a cash draw at a port to provide them with money for shopping, but otherwise, life on board a merchant ship is a cashless society. 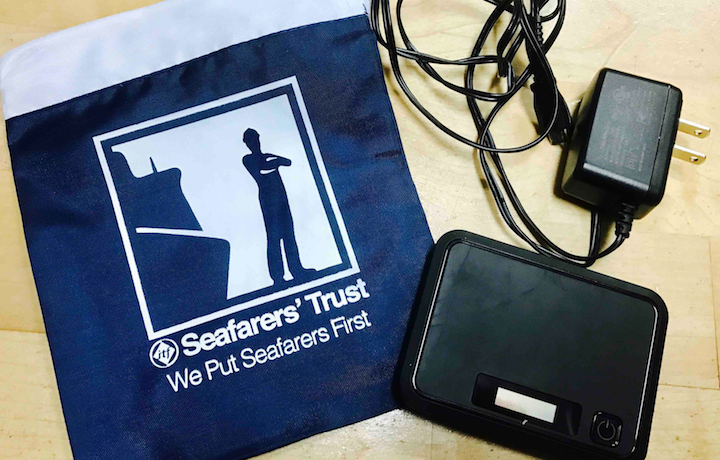 Once signed on to a ship there is no need to carry a wallet or cash, there is nothing to buy, so seafarers only need to retrieve their wallet during the few times that they will venture ashore during their time at sea. Many seafarers may experience periods of several months before a suitable shore leave opportunity presents itself. Often the reduced time in port, logistics, and security challenges all present formidable obstacles to get ashore. For seafarers working six-on, six-off watches – choosing to get ashore means giving up rest time or trading a watch with a colleague. That means paying that watch back, and that brings with it the added stress of a double-watch. Why did the third engineer need to wire money home and why was this so urgent, the rest of the story revealed itself as we drove along in the Seafarer mission van. A new van recently provided by a grant from the ITF Seafarers’ Trust. As a chaplain, I simply ask questions such as: “Tell me about your family back home?” As we drove along the highway, my passenger began to talk about his family and his young wife who had just given birth to his daughter, a daughter that he had only seen on Skype. The conversation continued in great detail about his life as a seafarer and the different shipping companies that he had worked for. It was during the dialogue that he revealed the real issue that was at the root of his stress. The company had been paying his wages late, and his wife and family were in desperate need of funds because the direct deposit of wages had not been paid. Here, we also see why communications for seafarers is so important, today almost all seafarers have smartphones. I had just delivered two WiFi hotspots onboard his ship, they enable seafarers to connect to the internet for free. (The WiFi hotspots are provided in part by a grant from the North American Maritime Ministry Association “NAMMA” in conjunction with the ITF Seafarers’ Trust) The third engineer was upbeat about the WiFi onboard because he would be able to let his wife know that the money was on its way. On our return trip, the third engineer was in a much better mood, I could tell that a heavy burden had been lifted because he had been able to make sure that his family had been provided for. We parted at the foot of the gangway, and I could see that he was in a much better mood than a few hours earlier when we had first met in the ship’s office. 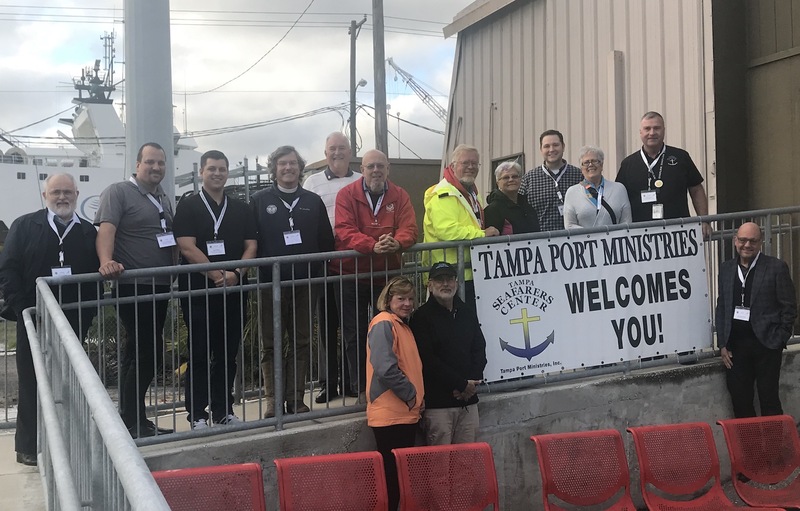 In the 21st century, one might ask the question: what is the role of a modern seafarer mission in the shipping industry? The answer is that we are on the frontline of the wellbeing of seafarers. An active presence onboard the ship does make a difference, we bring connectivity to the internet, and transport ashore. Transport that often requires complex navigation through secure facilities that may be a mile or more from the gangway to the gate. Seafarers will experience stress in the everyday rhythm of their voyage. In our shore-based lives, we will hear about the latest Hurricane that threatens the coast or one that has now departed. 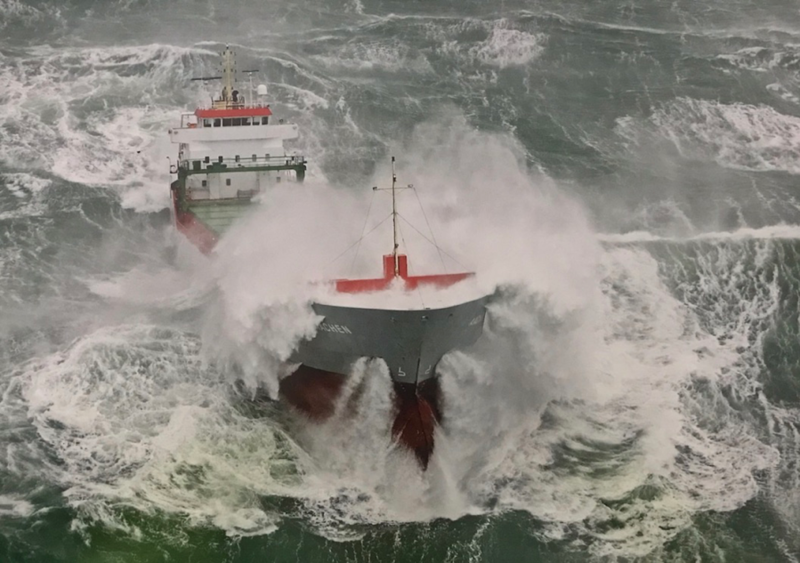 We will rarely be conscious of the many merchant ships that are at sea doing their best to navigate away from the worst of that storm system or what being onboard a ship in heavy weather does to the health of a seafarer. Imagine the stress that a seafarer experiences when they have no internet access and may not have been able to connect with their family for several weeks. For most of us today the loss of service for just a few hours would cause unbelievable stress. Then layer on other stresses due to sleep deprivation from the workload and loneliness. We can, therefore, appreciate how important our seafarer missions are and why they are an integral part of a healthy shipping industry, we are not a nice to have – we are a must have.